If you can walk a narrow sidewalk, or ride a bike, you can paddle board. A little balance, a desire to be on the water in the fresh air, a willingness to try something new, and anyone—of any age and athletic ability—can enjoy this deceptively easy outdoor sport. 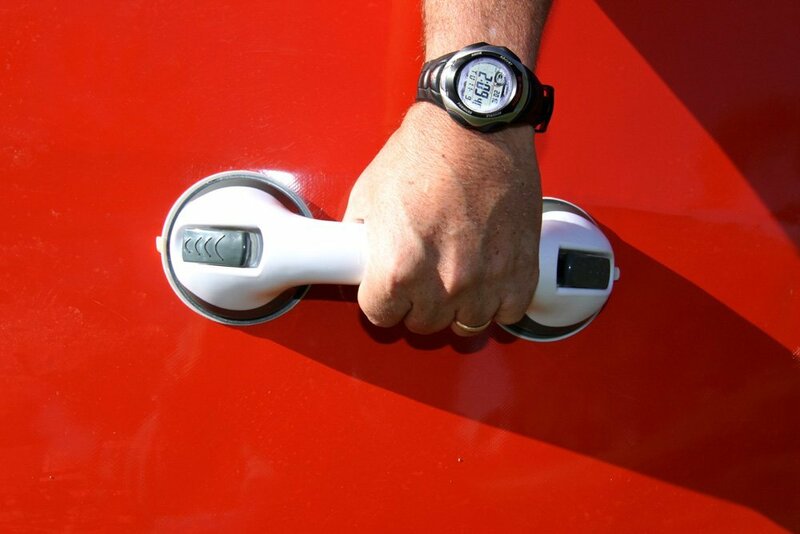 Check out a demonstration or try a rental board: it’s easy to get the knack and quickly feel comfortable. 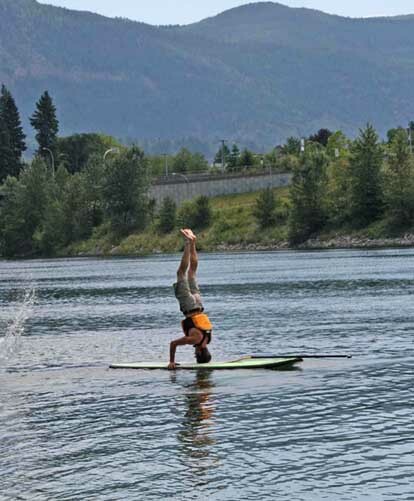 Find out why SUPing, the fastest growing water sport, has quickly spread from its Hawaiian roots to rivers, lakes, ponds and oceans everywhere, enjoyed by everyone. It’s simple, and you can do it, too. "World Paddle Board Association" (WPA) U.S.
"Professional Stand Up Paddle Association"
"Stand Up Paddle Industry Association" is the trade organization of all stand up paddle businesses. If a loon is calling to you on a tranquil lake, stand up paddle boarding takes you there. The river carries you and your paddle board past the osprey diving for its dinner; ocean waves offer a salty ride. Your board offers a new way to experience all kinds of water, and because you’re standing up, you see it all. About 10% of SUP enthusiasts ride the waves, while the majority of paddle boarders take up the sport for flat water cruising, fitness, racing, fishing, or just enjoying the natural world from a unique vantage point. Expect to be enticed by this delightful introductory visual about paddle boarding possibilities. Disclaimer – The following video is an ad for BIC paddle boards...and very well done! Stand up paddle boarding can be calm and comfortable or exhilarating and challenging. See the sights as the shoreline passes, perform yoga on a still pond, surf the waves, take your kids or grand kids or even Fido along. Cast a line and reel in your catch on a SUP that is especially designed and rigged for the experience. And SUPs are unsinkable! Any way you ride, SUPing is incredibly versatile, accessible, easy to learn, and—bonus—fabulous exercise. Whether we’ve piqued your curiosity or inspired you to put this great sport at the top of your "to do" list, you are in the right place to find all you need to know about the world of SUPing. Here, you’ll find everything you need to know about paddle boarding: the ease and the challenge, the dance and the thrill. you can expect to find valuable, organized and reliable information along with plenty of encouragement. • SUP is pronounced like pup, or you can say S.U.P. like the acronym actually is. Scan this site to find out all you need to know about getting started, exploring and maintaining your world of stand up paddle boarding. Enjoying a late September afternoon on the Columbia River, Castlegar B.C. Canada. You’ll find lots of products to check out on this website through links and banners—a great way to compare products and pricing, learn about cool new stuff, or just get a sense of the great variety of SUP gear. There is never any obligation to buy﻿, and you’re never far from this site, and all things SUP. So click away—and have fun! Layla helps her grandmother inflate a new 2015 Red Paddle Co. 12'6" Explorer. Stay tuned for a review of this board soon in the reviews section. 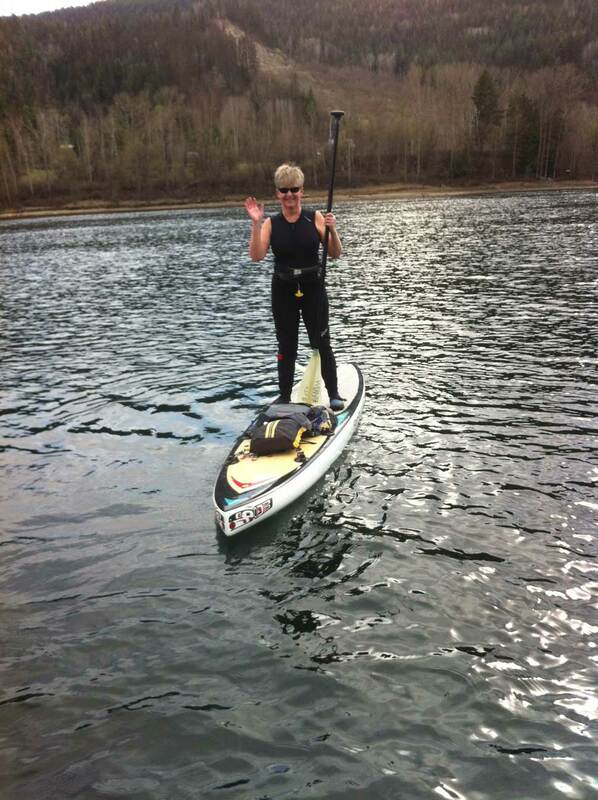 This is Sean at a SUP demonstration on the Columbia river—a first time paddler. It took only one try for Sean to successfully stand on his head on a paddle board! Certain proof of paddle board buoyancy and stability.